Hi everyone. My name is Morris, and I have an addiction. Roxxiiangel and Side Show like this. Is that pizza flavour juice? How is that? Hi my name is crisscross and I am an addict. 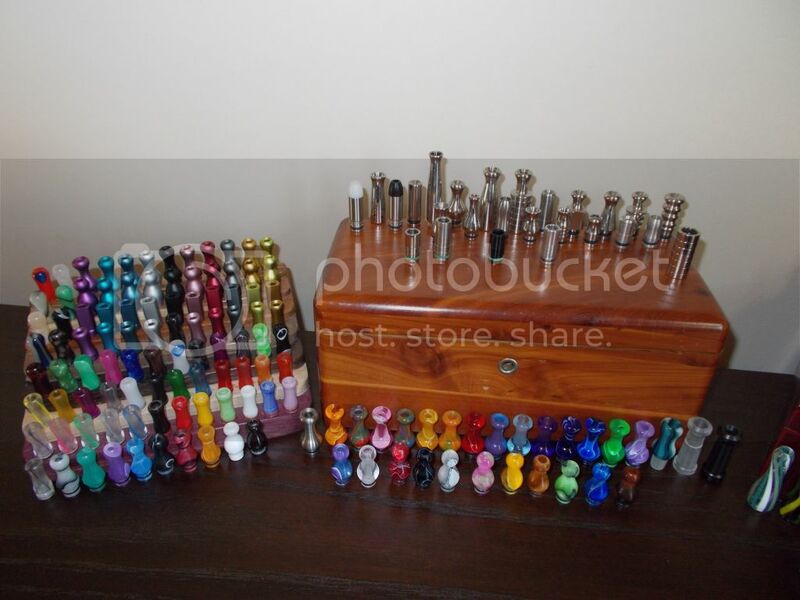 My drip tip collection is out of control. I have over 100. I use the excuse that I am buying for two people but in reality they are all mine, mine mine. 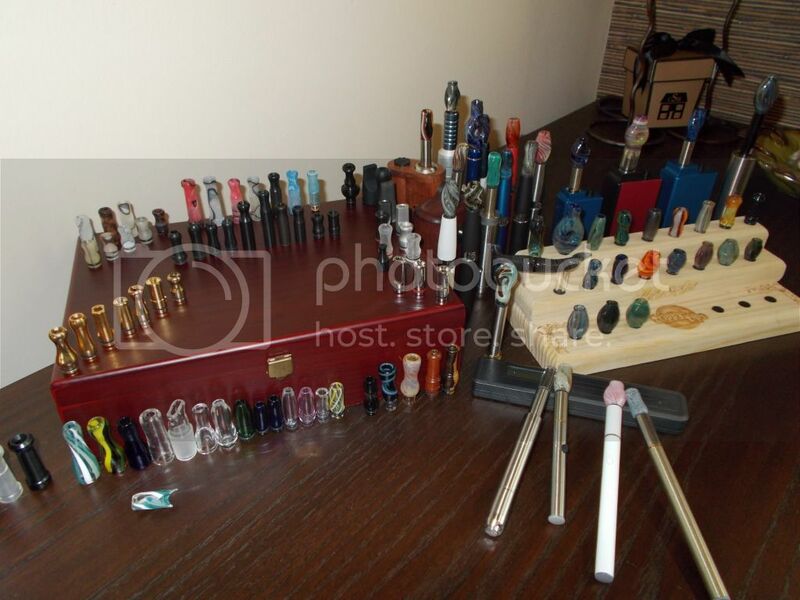 Most of them were bought to compliment my elegance tanks and I have a collection of cherry Vapes ming style including the special editions, the full range of fasttech acrylic fat tips, glass tips from essie and a lot of coloured metal ones. 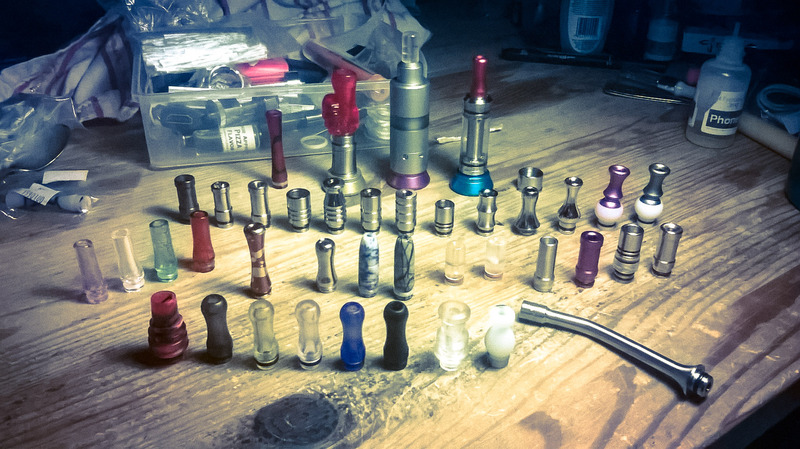 My current favourites because I like the shape in the mouth is the vapor-mania genie drip tips. When I show off the pics of my elegance you will always see my other tanks with the matching tips. Roxxiiangel, spud, maggie and 1 others like this. I gotta get a 3ml bottle. Its got to be worth the try. I'm hoping it tastes like Shapes Pizza snacks. Just throwing it out there, I'm astounded you have a RSST with SS wick that isn't being a huge pain in the arse- bravo! Hiiiii Criss, thanks for sharing. margyb, Crisscross, Roxxiiangel and 1 others like this. Last edited by Crisscross; 18-03-14 at 11:11 AM. Not mine, I prefer these two types.